Dupont Femme Eau De Parfum for Her 100ml. S.T. 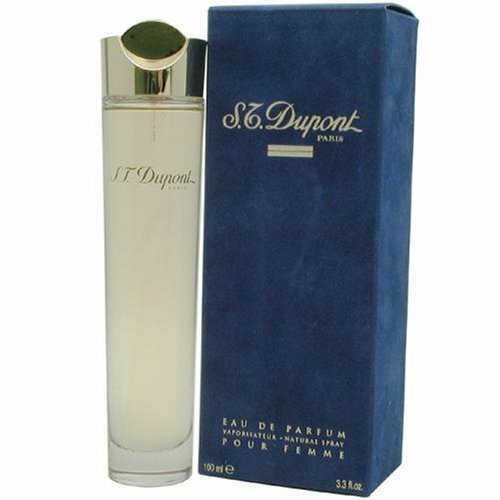 Dupont pour Femme by S.T. Dupont is a Chypre Floral fragrance for women. Top notes are black currant, passionfruit, melon, mandarin orange, galbanum and lemon; Middle notes are cyclamen, magnolia, carnation, gardenia, orchid, jasmine, ylang-ylang, lily-of-the-valley and rose; Base notes are sandalwood, amber, patchouli, musk, oakmoss, cedar and brazilian rosewood.